MUMBAI: Pakistani sufi singers Fareed Ayaz and Abu Muhammad, along with Indian sufi qawwali group Nizami Brothers, will spread tunes of soulful music in Delhi on 14 November. The festival- Taali Ho, an international qawwali festival, is being organised by Krishna Prerna Charitable Trust and Arun Budhiraja, at India Islamic Centre, Lodhi Road. The event aims to reinforce a notion that art and craft is not restricted to any borders, and is being held after all the hue and cry over Pakistani artists performing in India, read a statement. Pakistani ghazal singer Ghulam Ali's concert in Mumbai was called off after resistance from Shiv Sena last month and a debate raged over “extreme intolerance” comments by superstar Shah Rukh Khan. The actor was compared to Pakistani terrorist Hafiz Saeed by BJP MP Yogi Adityanath, and another Hindutva proponent, Sadhvi Prachi dubbing the actor a "Pakistani agent". 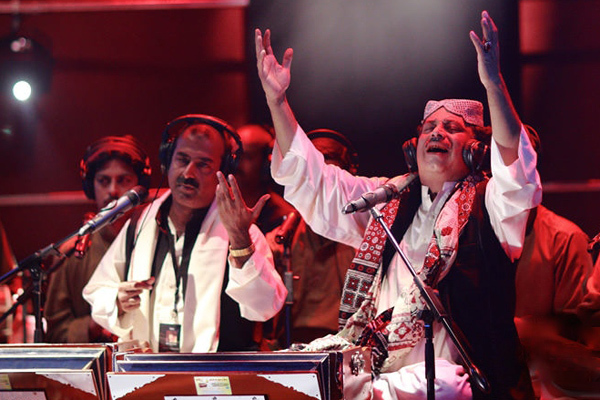 Maestros from across the border Fareed and Abu are known for giving a different meaning to qawwali, while Nizami Brothers - Ghulam Sabir Nizami and Ghulam Waris Nizami - are popular for singing qawwalis in sufi style.